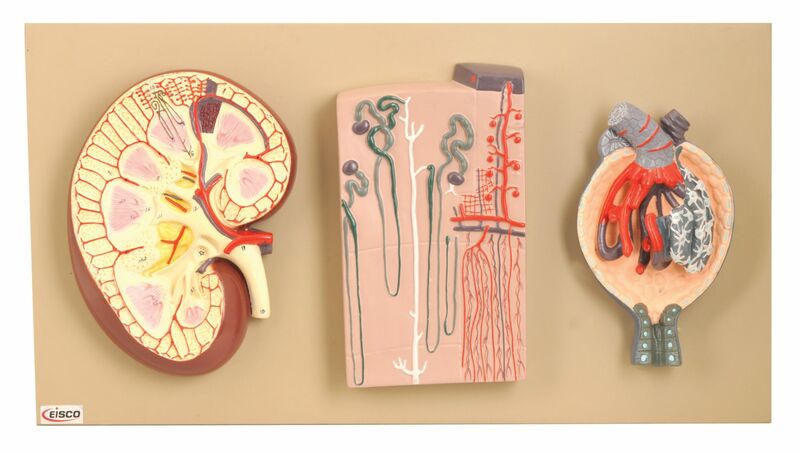 Examine the human kidney in detail with this 3 part detailed model. A 3x life size kidney is bisected to show gross internal structure. A 120X segment showing and nephrons and blood vessels allows for finer examination of the transfer of materials between the kidney and the blood stream. Finally a 700x magnification of a glomerulus allows for detailed discussion of material transfer.